Will you ship to APO, FPO, or Military addresses? YES OF COURSE! We ship to any military, APO or FPO destination via U.S. Postal Priority Mail. What if I don't like my order, it doesn't fit, or I just want to return it? We want you to be happy with your purchase. Maybe your cat ate your canary or your dog ran off with your best friend or maybe you just don't like your stuff for some reason. It does not matter. Within 30 days of receipt of your order, you may return any stock item in its original condition . We will issue a full refund for the price of any item you return that meets these conditions. No need to worry about a restocking charge because there is none. We only ask that you pay the shipping. We only refund shipping costs if the return is a result of our error. How much do you charge for shipping my order? We think we have one of the most generous shipping rates and policies out there! Our goal is to give you the most for your money and at the same time give you the flexibility that you need. Please click our Shipping Policy link found on every page. Yes, we do offer discounts for bulk orders. If your order is for a quantity of goods, please use the "Contact us" link that you will find on every page, and we will be happy to give you a price quote. What is your address and phone number? And, where the heck are you exactly located? Our mailing address is: Perret's 2514 Williams Blvd Kenner, LA 70062 Phone 504-466-2532 Fax 504-466-2607 Our store is in Kenner, Louisiana which is located right outside of New Orleans. Yes, We live in "Hurricane Alley" but we wouldn't have it any other way! Can I purchase from you wholesale? Yes, we do sell wholeale as well. Wholesale customers are those who purchase in bulk, on a regular basis, for resale to others. If you are interested in purchasing wholesale from us, please see our HELPFUL LINKS at the bottom of the page. You have a really Cool Store and Website. Can you help me develop a similar business in my area? YES, we can. We are sucessful retailers since 1926, and we can help you build a successful army/navy business. We do have relationships in several areas already, but if you are in an city where we do not have a presence we would love to work with you. Our experience, sources, knowledge, and expertise are not free, but please contact us for more information. It depends. In general, yes we do. However, some locations are more challenging than others and shipping fees, etc. may be prohibitive. Customers are responsible for any duties or fees associated with importing shipments. Check with your local government customs for complete details. Please contact us for a shipping quote to your location. We accept Paypal, Mastercard, Visa, American Express and Discover. International customers can expedite their orders by sending payment in the form of a US money order. Orders are shipped Monday through Friday. Orders placed over the weekend will be shipped on Monday, pending availability of merchandise. Orders placed after 1 pm Central Time usually ship the following business day. Time in transit varies by the location of shipping address, but is generally 1 to 6 days, depending on shipping method. We will notify you of any out-of-stock items or any long delays in shipping. 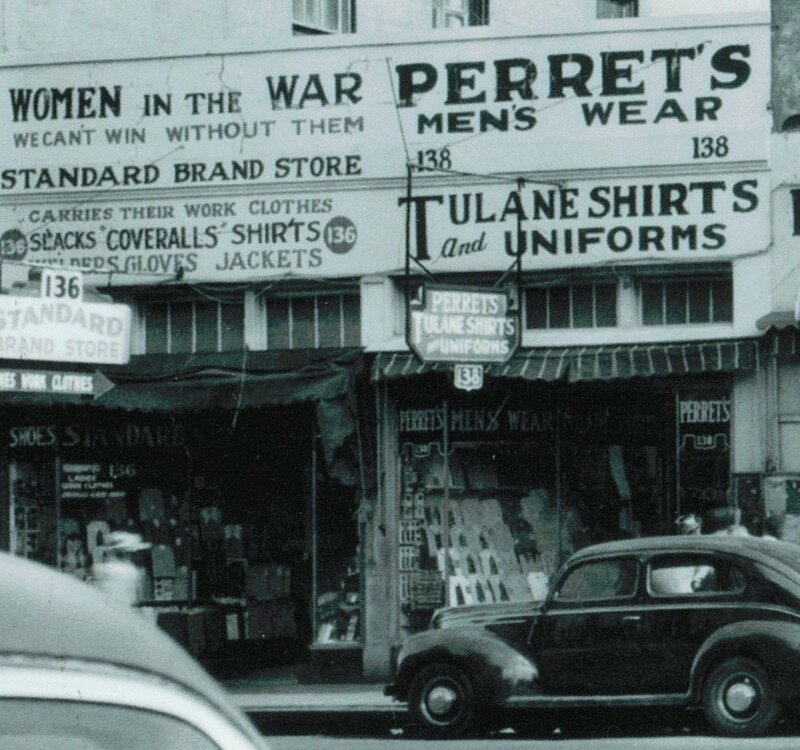 How does Perret's protect my privacy? Protecting your order information is a priority. All online transactions at Perrets Army & Outdoor Stores are handled with industry-standard SSL encryption. Our secure server software encrypts information, ensuring that your Internet transactions stay private and protected. Your name, address, and credit card number plus everything else about your order can not be read by anyone else as the information travels from your computer to ours. Do you offer a free catalog? Due to the great cost associated with producing our Full Color catalog, we must charge a small fee of $2.00. When place an order or create an account, how do you protect my privacy? The safety and security of your order is our main concern. Nor do you have to worry about Perrets selling your name and address to anyone else! We keep your information for our own marketing and announcements of sales, but share this valuable info with no one. do not ask, we will not sell our valuable customers mailing addresses. Please read our Privacy Statement.